The PulseTech® SPCMS 24V Battery Solar Pulse Charge Monitor System is the ideal solution for maintaining 24-volt lead-acid batteries on generators or vehicles that are in long-term outdoor storage. 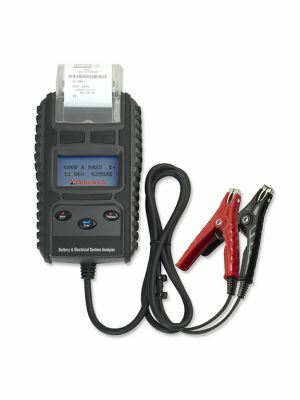 This solar battery maintainer supplies a pulsed current that keeps batteries ready for use. A 6.3-Watt solar panel with external plug is ruggedly designed to last. Colored LEDs on the solar charger will indicate when the battery is being pulsed, charged & when there is insufficient solar output to operate. The SPCMS has a cable lead that comes with a special external heavy duty plug designed to fit in a 24-Volt receptacle used on some vehicle systems. Charge and maintain vehicles with a 24-Volt battery or 24-Volt battery system left in long-term outdoor storage with the Solar Pulse Charge Monitor System. This sturdy 6.3-Watt solar panel provides power to charge the battery system. All of PulseTech's solar panels have higher efficiency, higher quality crystalline silicon cells that pack more power per square inch and have a longer life than standard amorphous ''thin film'' solar cells. That means you can get the power you need in a sturdier, smaller-sized solar panel. When the green LED is flashing, the battery is being charged and when the green LED is steady - the battery is fully charged. During and after the charge cycle, the solar panel also supplies energy to the Pulse Technology circuit to reverse the buildup of energy robbing sulfate deposits on the battery plates - the main cause of battery failure. The flashing red LED indicates that the battery is being pulsed. 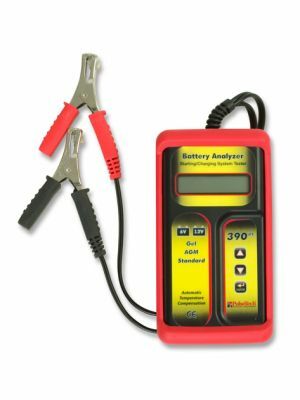 If no batteries are connected, the battery connection is faulty, or the battery or battery system is measuring less than 22-volts, the red monitor LED will remain steady, telling you to check the battery connection.